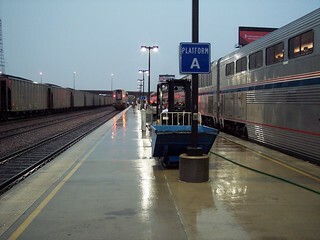 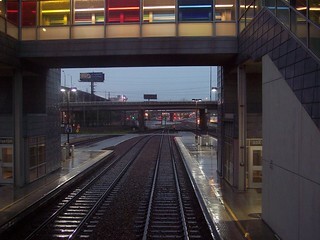 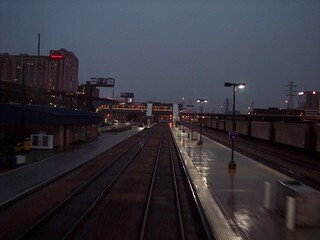 A very wet platform in St. Louis. 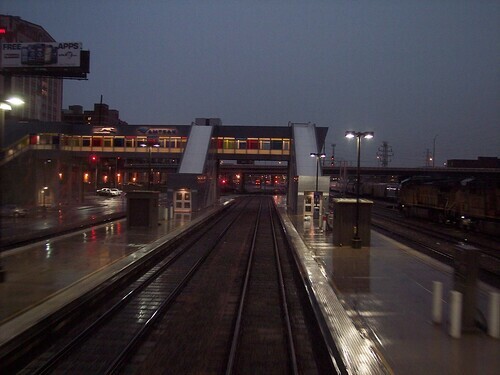 No canopy to keep passengers dry. 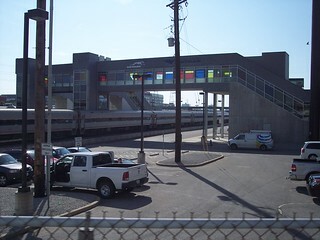 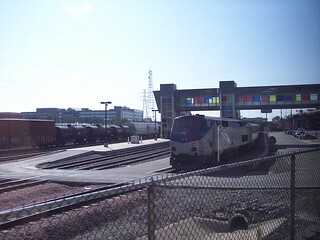 The last car on the Texas Eagle (a coach) was dropped at St. Louis after travelling from Chicago. 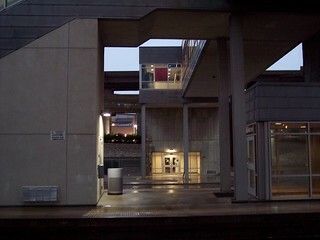 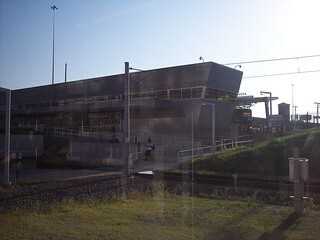 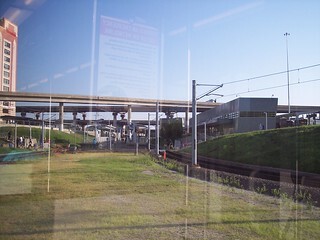 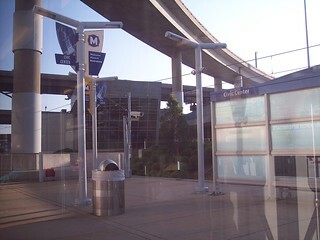 The MetroLink station is called Civic Center.